Aardman fans, rejoice. Not only is a new Nick Park movie on the way- in the form of Early Man- but now a sequel has also been confirmed for 2015's hit Shaun The Sheep Movie. It's been being mooted as being on the way for a while, as the first film was a big success (everywhere but the US at least) and was nominated for an Oscar. We haven't had an official confirmation up until now, though. 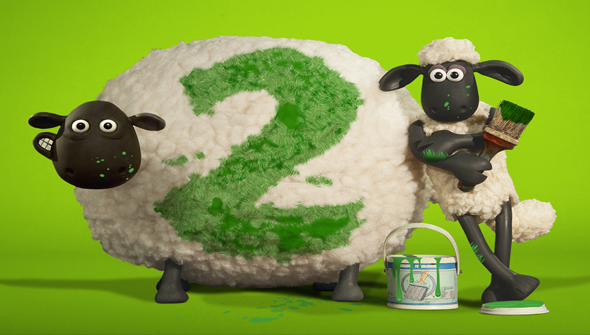 Shaun The Sheep Movie 2 will see director Richard Starzak and producer Paul Kewley return. The new film will be the third film Aardman Animation has produced in association with Studio Canal UK. This relationship seems to be working well for both parties and has worked out a damn sight better than the UK animation studio's earlier deals with any of the US distributors so far. "Although we can’t say too much at this stage, we can tell you that Shaun and the Flock will all be back in another epic and hilarious journey, in what will be their biggest and most exciting adventure yet! ", Aardman says. Pre-production will start in January 2018 but there are no further details at this time. We'll bring you more details when we get them!